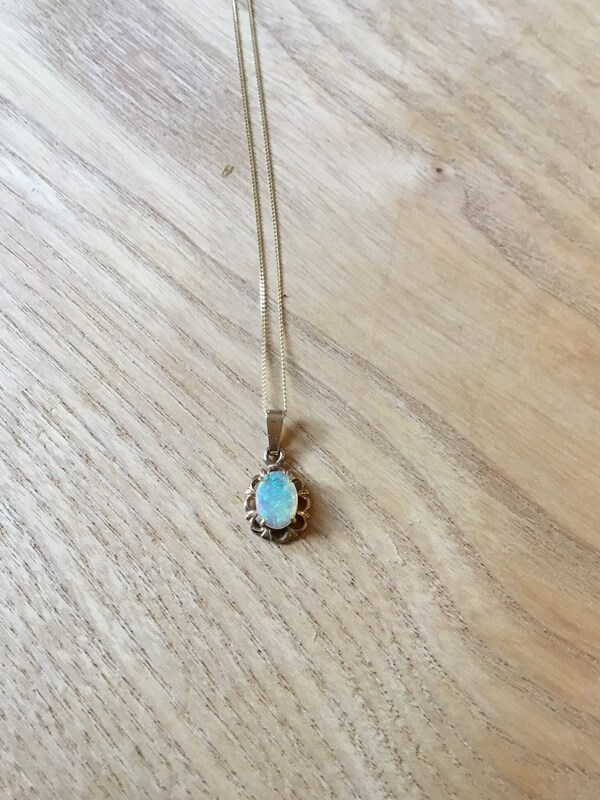 On A 16 Inch Curb Chain. 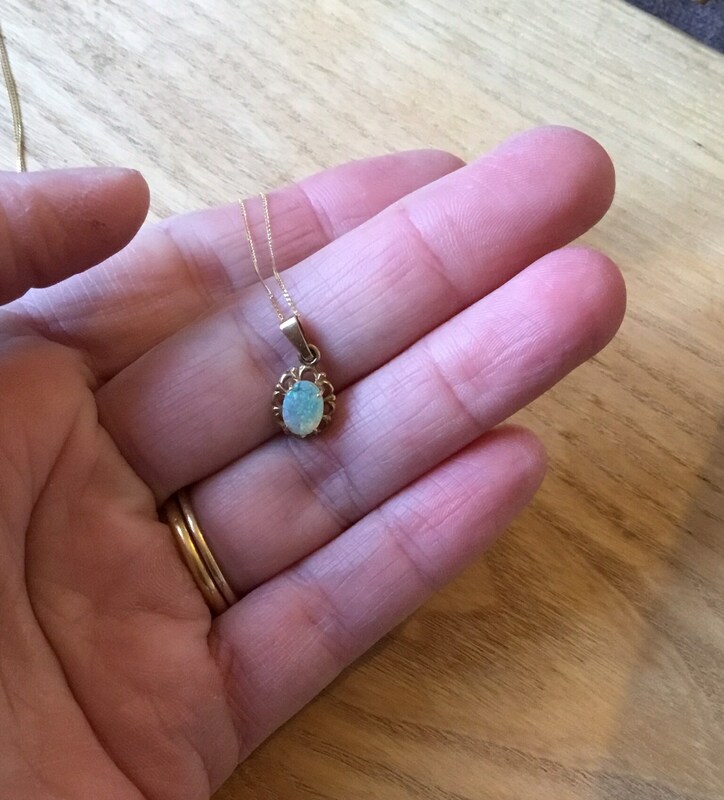 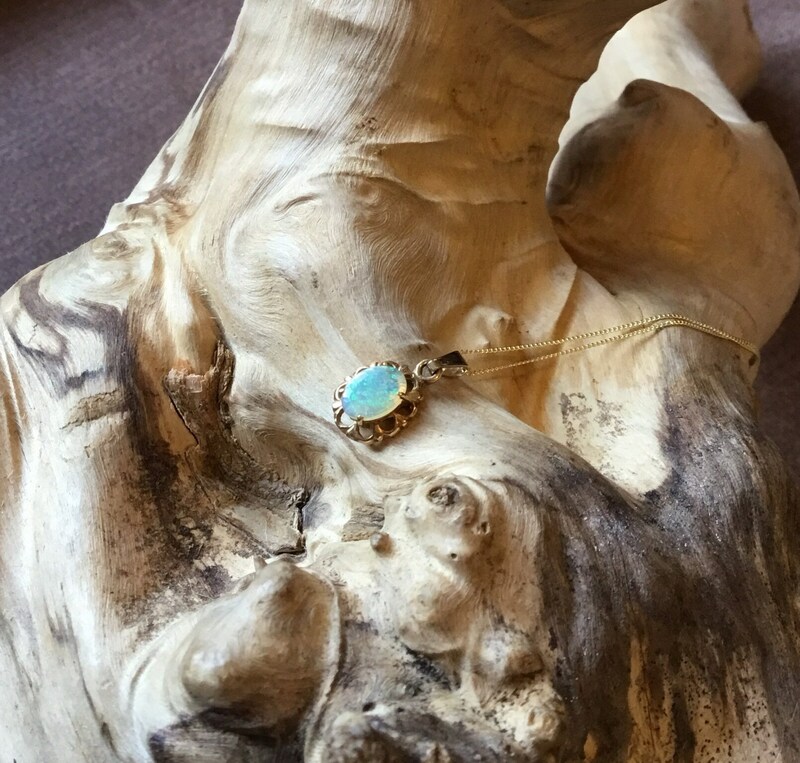 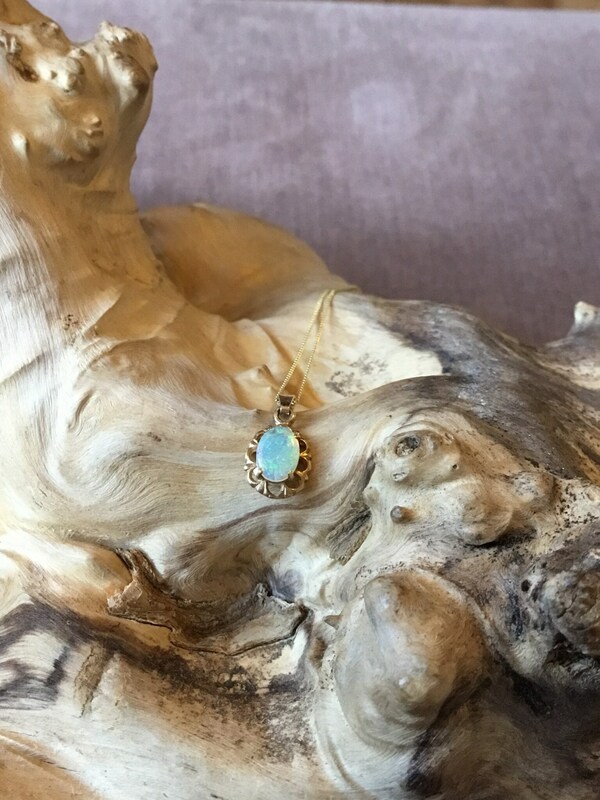 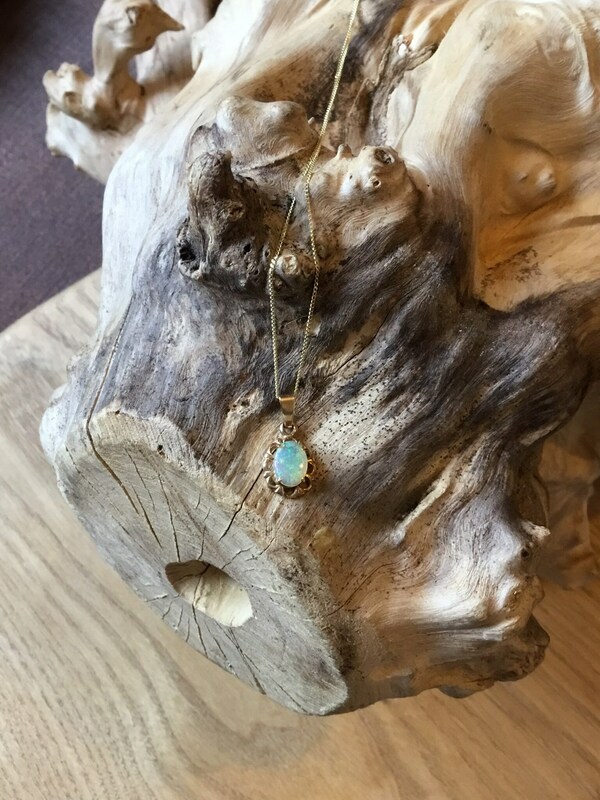 This Dainty Pendant is Set With a 7 mm x 5 mm Coober Pedy Opal, Set in a Simplistic Yellow Gold Setting. 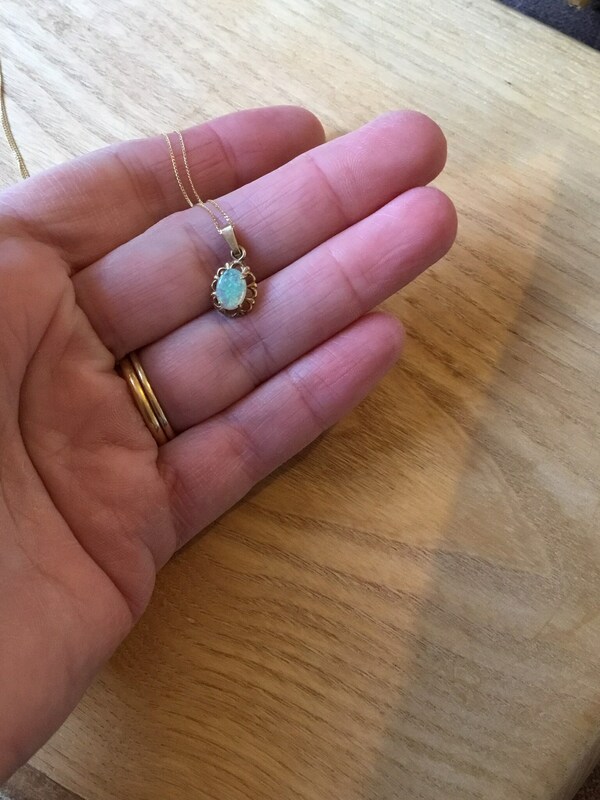 The Setting Including Pendant Loop Measures: 18 mm High, 9 mm Wide and 4 mm Deep.